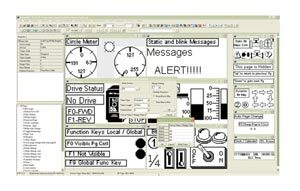 ELCSoftGP programming software configures all ELC graphic panels. With ELCSoftGP, applications can be created, edited, downloaded, uploaded, and much more. Move programs from 1 panel to another with ease.